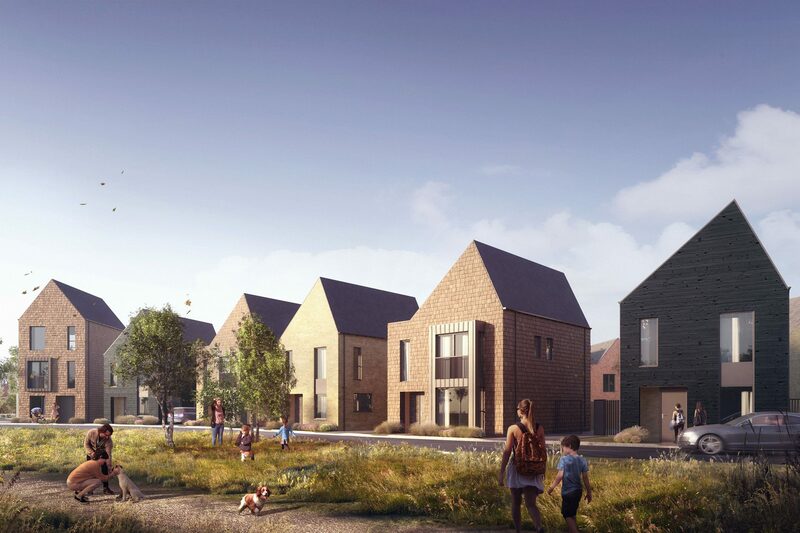 BPTW has secured planning consent for 163 new homes for developer Countryside, in the Newhall district of Harlow, Essex – an important element of the second phase of this ambitious and highly successful development. BPTW has drawn upon the unique built heritage of Newhall and its surrounding countryside to provide a development containing 142 houses and 21 apartments, offering a mixture of tenures and dwelling sizes. Recognised as one of the most modern and innovative of the ‘neighbourhoods’ established by Sir Frederick Gibberd as part of the Harlow New Town plan following the Second World War, the past 15 years have seen Newhall become a marker of contemporary and pioneering housing design and exceptional public realm, with existing phases designed and built by different developers and design teams, including many leading architects. Because of the range of approaches demonstrated in the previous phases, Newhall is characterised by a diverse townscape, reminiscent of the variation found as a result of organic expansion in more traditional settlements. Similarly, BPTW’s design for CP2A seeks to blend a series of ‘village clusters’ into the established urban grain and context of the existing phases, helping to create a unified townscape and community. Building upon Newhall’s strong identity and reputation, BPTW’s design achieves character and identity by combining standard floor plans with bespoke elevations that respond thoughtfully to the site’s context and constraints. Architectural inspiration was drawn from historic streets in Old Harlow – the original settlement – when developing the material palette and a contemporary interpretation of traditional proportions, forms and details. As part of the ongoing design collaboration, HTA Design has designed a landmark building within the urban square, to mark the point of connection to the other phases within the Newhall masterplan. A subsequent sub-phase, due to be submitted by HTA Design imminently, will see BPTW designing landmark blocks as part of this collaborative and integrated approach to the design of the masterplan.